Douglas Freedman is a Partner at Convergence Invesments, LLC. Mr. Freedman has over 17 years of experience and previously worked for Pritzker Realty Group (PRG) and Walt Disney Company where he completed over $150 million in transactions and dispositions including the development of residential and commercial land, mixed-use village centers, hotels, multi-family for sale and for rent projects and the creation of mixed-use traditional neighborhood design communities. His responsibilities have included the development and disposition of over 10,000 lots and 2.5 million square feet of commercial. 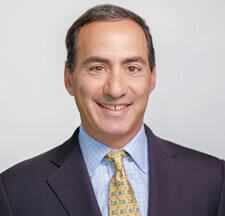 At PRG, Mr. Freedman served as the Director of Development for the Baldwin Park Development Company. Baldwin Park is a unique redevelopment of a 1,100-acre parcel that was formerly The Orlando Naval Training Center and is now a mixed-use community with neighborhoods, shops, offices and schools. Baldwin Park was awarded an Award of Excellence from the Urban Land Institute for the “Best master planned community of its kind in the country”. Mr. Freedman performed all land sale negotiations and joint venture analyses for Baldwin Park and completed over $100 million in transactions including single-family, multi-family for rent, condominiums, retail and office transactions. Mr. Freedman holds a Bachelor of Arts degree in Economics from Denison University, and an MBA from the University of North Carolina.